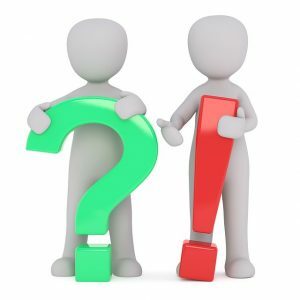 Today is National Punctuation Day, so I thought I’d celebrate by writing a blog post to help you avoid common punctuation mistakes in your writing. Punctuation mistakes might seem like a minor thing, but punctuation guides readers’ understanding and helps them read more smoothly. Sometimes, a single comma can even change the meaning of a sentence. So learning how to avoid these punctuation mistakes is definitely worth it, and it’ll make for a grateful editor too! 1. Don’t add commas wherever you pause to breathe in a sentence. I’ve heard that advice often, but it’s actually misleading. The rules are there for a reason, so learn them—and then if you break them, do it to achieve a certain effect, not because you don’t know them. 2. Don’t produce comma splices. A comma splice is when you put together two complete sentences with a comma. Instead, break them into two sentences with a period between, or use a semicolon instead of a comma. Incorrect: My favorite food is pizza, I love the melted cheese. Correct: My favorite food is pizza; I love the melted cheese. 3. Don’t use a comma after a coordinating conjunction. Coordinating conjunctions are words that connect words, phrases, and sentences. You can easily remember them with the acronym FANBOYS (for, and, nor, but, or, yet, so). For some reason, I sometimes see people using a comma after coordinating conjunctions, especially after but. What you should do instead is to use a comma before the coordinating conjunction if it connects two complete sentences. Incorrect: Danielle refused to eat spinach but, she loved ice cream. Correct: Danielle refused to eat spinach, but she loved ice cream. 4. Don’t use a comma in compound predicates. A compound predicate is a series of two verbs that belong to the same subject. Unlike a compound sentence, which consists of two complete sentences with a subject and verb each, compound predicates don’t need a comma. Incorrect: Danielle refused to eat spinach, but loved ice cream. Correct: Danielle refused to eat spinach but loved ice cream. 5. Don’t use apostrophes to form the plural of a noun. The two main functions of apostrophes are to a) show possession, e.g., my brother’s car, and to b) indicate contractions and omissions. Apostrophes shouldn’t be used to form the plural of nouns. Incorrect: My parent’s call me every Sunday. Correct: My parents call me every Sunday. 6. Don’t confuse it’s and its. It’s is a contraction for it is or sometimes it has. Its is a possessive pronoun. If you are ever unsure which is correct, replace the word with it is (or it has) and see if it makes sense. If it doesn’t, use its without an apostrophe. Incorrect: The cat sharpened it’s claws. Correct: The cat sharpened its claws. 7. Don’t place commas and periods outside of quotation marks if you are using American English. With few exceptions, punctuation marks go within quotation marks. Note that the rules of British English differ from this usage. Incorrect (in American English): When she says “immediately”, she means half an hour later. Correct: When she says “immediately,” she means half an hour later. 8. Don’t punctuate dialogue incorrectly. First, learn the difference between a dialogue tag such as “she said” and an action beat, which is an action that the character performs before, after, or while he or she speaks. Use a comma with dialogue tags and a period with action beats. You can learn more about action beats and dialogue tags and how to punctuate them in this blog post. 9. Don’t forget to use a comma to set off a direct address (usually a title or name) in dialogue. If you insert the address in the middle of a sentence, set it off with a comma before and after. 10. Don’t overuse exclamation marks. If every second line of dialogue uses an exclamation mark, it diminishes the effect of every individual one. Using exclamation marks to convey emotion instead of letting your dialogue speak for itself is actually a case of telling when you should show. You can learn more about this important writing principle in my book Show, Don’t Tell. I hope you found these tips helpful. If you have any questions about punctuation, please leave a comment. Happy National Punctuation Day and happy writing, everyone! Great list. Okay does rule 4 apply here? Given the time and, on this I have to be clear, we should leave now. Given the time, and on this I have to be clear, we should leave now. No, this has nothing to do with rule 4. The rules for asides and interruptions would apply here. Usually, you would set them off with a pair of commas (or sometimes dashes). Your first sentence doesn’t make much sense to me. You should be able to take out the aside, and the sentence should still make sense. So I’d go with option 2. How can she, Sam, Pete and, now that I think of her, Sue, be in one room. Should the comma be after and or before it? How can she, Sam, Pete, and Sue be in one room? How can she, Sam, Pete, and, now that I think of her, Sue be in one room? How can she, Sam, Pete, and–now that I think of her–Sue be in one room? Some companies out there making their dancers perform on concrete for God’s sake and, with no give at all, it’s murder on the joints. Are the commas here right?